The Hunter Legend 25 is the perfect all-round package for a trailer sailer. 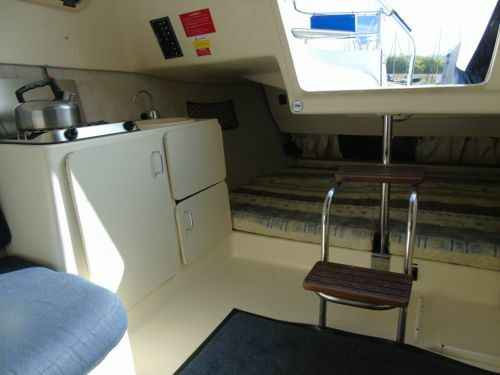 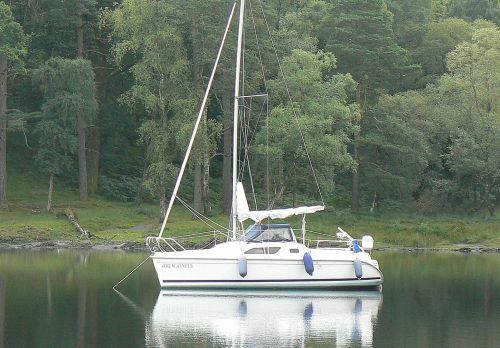 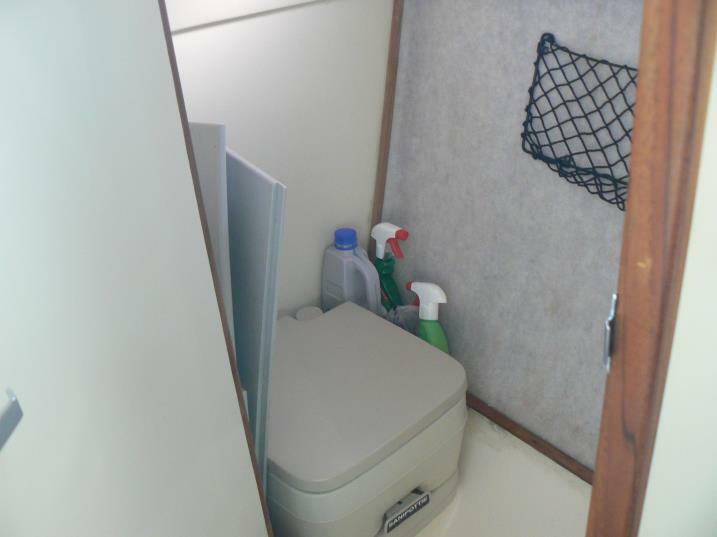 Not only is she easy to trail, sail and launch, but she offers comfortable 4 berth open plan accommodation and a separate heads compartment with a chemical toilet. 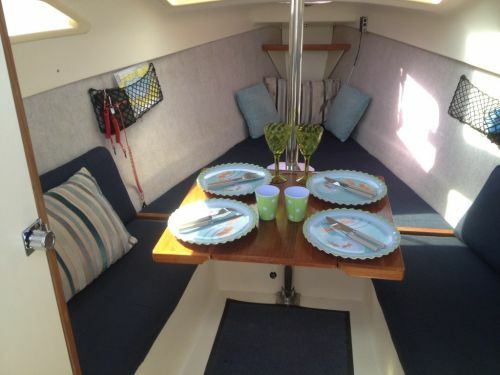 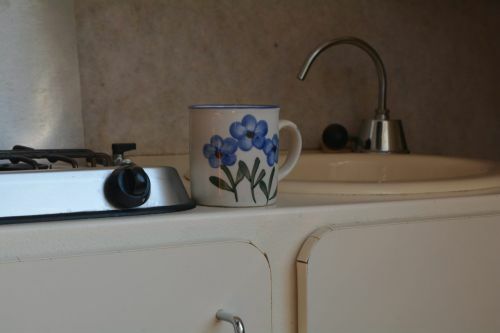 There is a twin burner hob, a portable 12V fridge and a sink in the galley area. 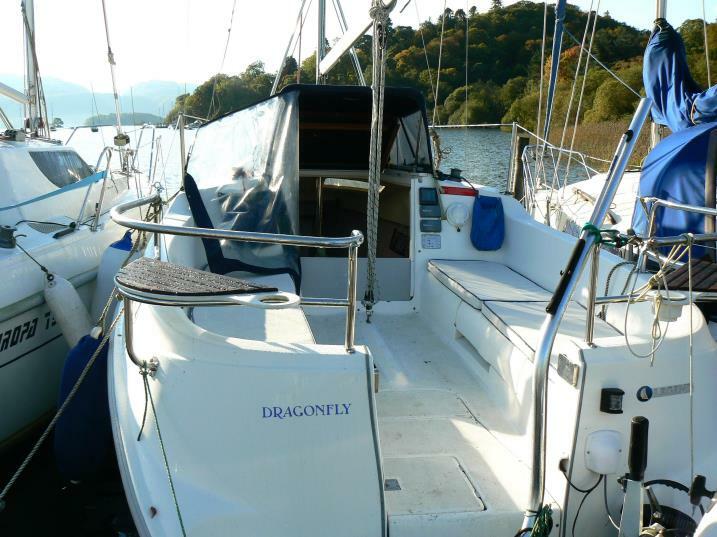 Dragonfly has been well looked after and is in good condition. 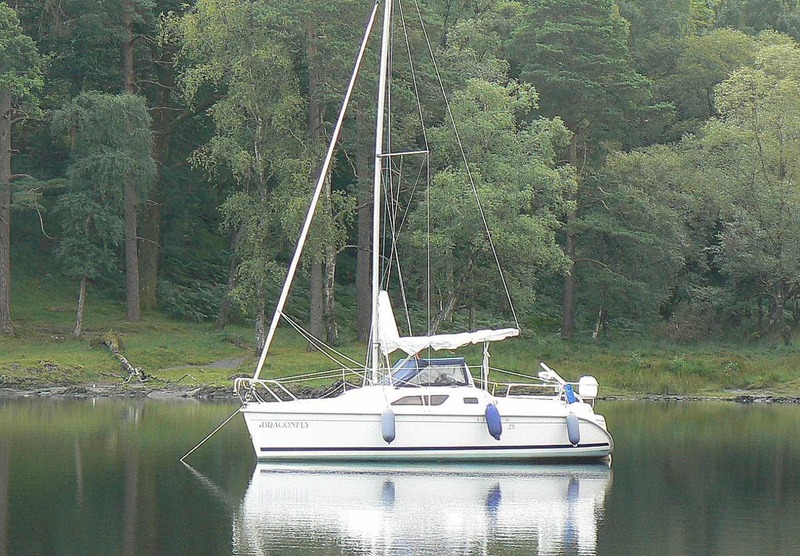 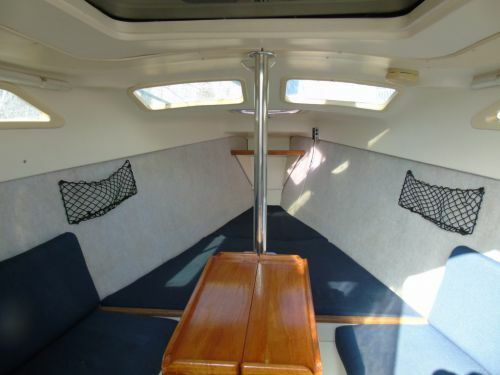 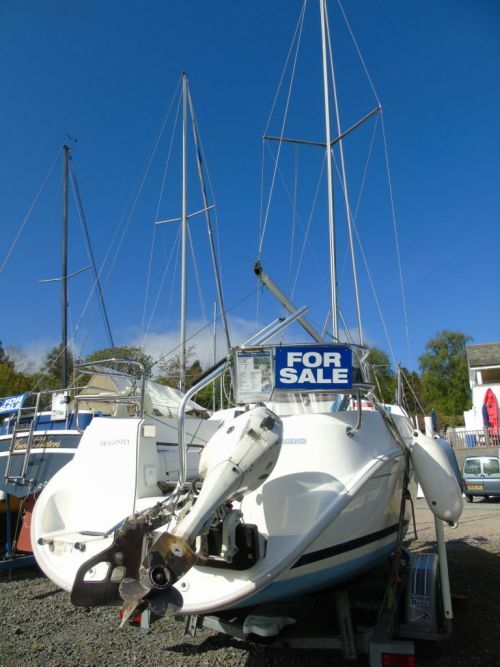 She has a Johnson 9.9HP 4 stroke outboard engine, which has been well maintained and regularly serviced. 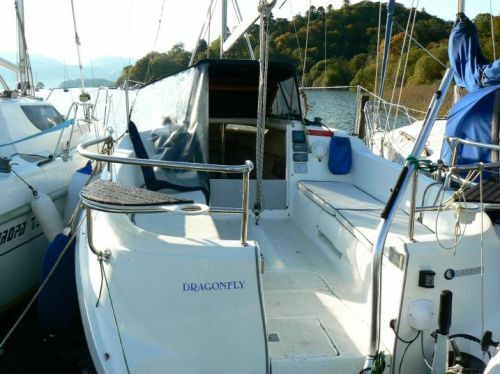 Dragonfly comes with a double axle trailer.